On arrival at Mumbai Airport, meet and greet by our representative and he transfer you to the hotel in Mumbai. Check in and refreshed. 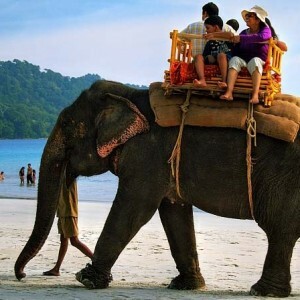 When you are ready your driver will take you to roam around Mumai called India’s ‘City of Dreams’. 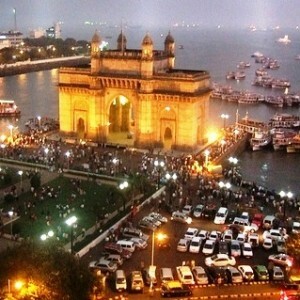 Mumbai, formerly Bombay, remains as India’s city of dreams. Mumbai is one of the best-protected natural harbours in the world and is India’s strategic economic centre. Mumbai is also the home to the country’s prolific film industry called Bollywood which produces feature films than any place in the world. Visiting local attractions includes Sidhi Vinayak, Maha Laxmi Temple, Marrine Drive, gateway of India, VT Station and much more depends on your time. After your delicious breakfast we transfer you to Nashik to visit Tryambkeshwar Shiva temple (One of the 12 jyotirlinga). Check in to the hotel on reaching, get refreshed and relax with own activities. Overnight in Nashik. The ancient Tryambakeswar temple is located near the source (Brahmagiri Mountain) of Godavari River, the longest river in Indian sub continent. Trimbakeshwar Temple in Nashik is revered as one of the 12 Jyotirlinga shrines of Lord Shiva and as the source of the river Godavari. Just as sacred river Ganga, Godavari is also known as Gautami Ganga and is one of the most sacred rivers in Southern India. Morning go for Darshan in Trimbakeshwar Shiva Temple. 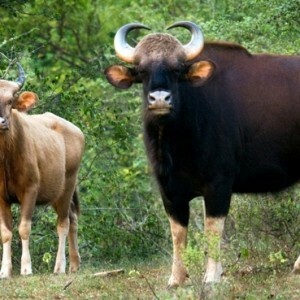 After that head to local temples & city sightseeing – Visit Kalaram- Goraram, Panchvati, Muktidham. Afternoon enjoy a 2 hours drive to Shirdi for Saibaba Darsan, which is 100 K.Ms away. On arrival there check in to the pre booked hotel. Shirdi is famous for the temple of Shri Sai Baba, houses the last remains of Sai Baba. 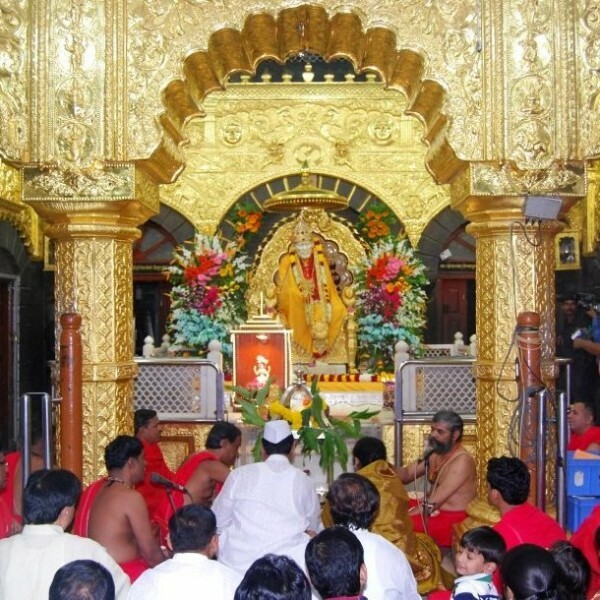 This religious place holds immense reverence for Sai Baba’s devotees from all across the world. The temple is the central point of the Shirdi pilgrimage and you can witness people stand in long queues to catch a glimpse of Sai Baba’s mortal remains. Early morning after breakfast proceed to Saibaba Darshan. Later we drive to Aurangabad called the ‘City of Gates’. Here the attractins are Ajanta caves & Paintings, ellora Caves & Kailasanatha Temple, Buddist Caves, Jain Caves and Hindu Caves. This UNESCO World Heritage Site is the first Buddhist cave monuments dates from the 2nd and 1st centuries B.C. During the Gupta period (5th and 6th centuries A.D.), many more richly decorated caves were added to the original group. The paintings and sculptures of Ajanta, considered masterpieces of Buddhist religious art, have had a considerable artistic influence. The Ajanta site cut into the side of a cliff which rises above a meander in the Waghora River. Out of these, five (cave no. 9, 10, 19, 26, and 29) are chaityagrihas and the rest are viharas. These caves are datable to the pre-Christian era, the earliest among them being Cave 10 dating from the second century B.C. The object of worship is a stupa here and these caves exhibit the imitation of wooden construction to the extent that the rafters and beams are also sculpted even though they are non-functional. The caves 1 to 12 are made for Buddhism, built during 550-750 AD. These caves are adorned with striking sculptures and murals of Lord Buddha. The cave number 12 is a significant here known for its three stories structure. The caves 13 to 29 are made for Hinduism, built during 600-875 AD. These caves are completely filled with sculpture of “Apsaras” (beautiful woman), gods and goddesses. Cave number 16 should not be missed as it has a Kailash temple which is known to be the largest monolith structure of the world. After passing through the Hindu caves, there comes the Jain caves (from 30-34) built between 800 AD and 1000 AD. These caves even comprise of various images of lord and mythological paintings. Please Note: Ajanta Caves are closed on Mondays, Ellora Caves are closed on Tuesdays. Today after breakfast we transfer you to the airport for your flight to Mumbai. You may continue with your flight to the next destination or if you want to get transferred to a hotel in Mumbai, our driver and room will be made available to you on your arrival Mumbai.